The practice nurses run clinics to help patients understand and manage their conditions better. It is recommended that women aged 25–49 have a smear test every three years and women aged 50–64 every five years. Smear tests are carried out by our fully trained practice nurses. All childhood immunisations are offered by the practice and we encourage parents to ensure that their children are fully immunised. The immunisation clinic is usually held on Thursday mornings. All doctors offer contraceptive advice, treatment and monitoring. The practice nurses are able carry out routine pill checks and depo injections. Implant, coil and cap fitting is also available. New baby checks are done when your baby is eight weeks old. Your baby will have his/her first immunisations around the time of this. New patients are able to have an initial health check with the nurse if they wish. Existing patients can make use of this service if it is appropriate. Please telephone the surgery to make an appointment for travel advice and travel vaccinations that are available free on the NHS (diphtheria, tetanus & polio, hepatitis A, cholera and typhoid). Please allow a minimum of eight weeks before your travel date. The nurse you see may suggest some vaccinations/malaria tablets which are only available privately, these must be accessed through a private clinic and will incur a charge. If you would prefer you can access a private clinic before seeing the nurse at the surgery. The Travel Health Pro website has lots of useful health information and advice for travel across the world. You will be asked to complete a travel health questionnaire form and bring it with you when you see the nurse. A wide range of tests are completed at the surgery as requested by your GP. Some tests, such as x-rays, will require your GP to refer you on to hospital. For test results please telephone the surgery after 10:00am Monday to Friday, selecting option 3. Please note that there is a strict policy regarding confidentiality and data protection. Test results will only be given to you unless you have given prior permission to give them to a nominated person. Flu vaccinations are offered every year to those over 65 years or those with diabetes, chronic heart, lung or kidney disorders. The pneumococcal vaccination is also offered to all patients over 65. The fees change are based on the British Medical Association (BMA) suggested scales and our reception staff will be happy to advise you about them along with appointment availability. Our Community/Practice Nurses work across both practices in Northallerton to provide nursing services to patients living in care homes or in their own homes. Our Gerontology Nurse Practitioner is available to support our frail/elderly patients living in nursing homes or in their own homes. 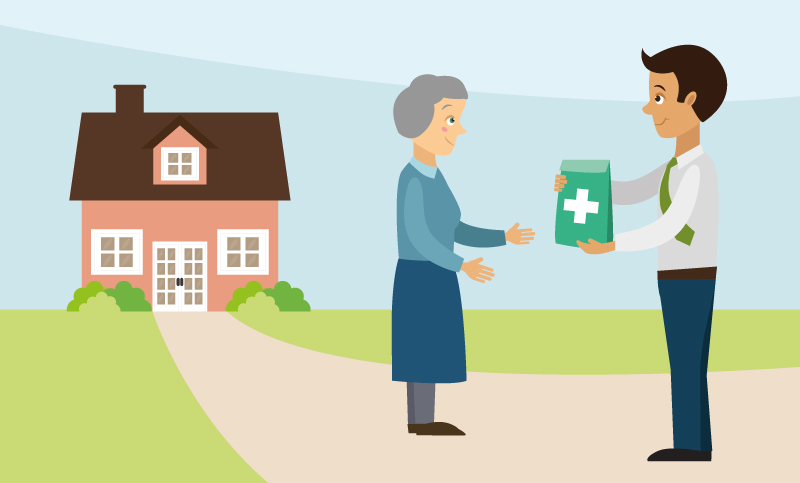 If you would usually collect your medication from our dispensary we can offer a delivery service. To register, simply download the form, complete and hand it in to reception. Our practice is actively involved in clinical research. This type of work helps to inform future care for all patients. If you would be a suitable candidate to participate in one of our clinical trials our research team will contact you directly to discuss this further.